How Much are Asbestos Dangers Discussed on NEBOSH General Certificate Courses? Asbestos is a particularly dangerous substance which can cause severe health problems for a person. As such its presence, or even just the possibility of it being present, warrants serious precautions and all work to cease until appropriate action has been taken, which will most likely involve specially-equipped and trained asbestos removal teams who can safely remove the danger. The syllabus of the NEBOSH General Certificate will discuss asbestos danger but will not provide so much detail that it would make those attending the training suitably competent to remove asbestos. Rather, the NEBOSH General Certificate aims to furnish delegates with sufficient knowledge to be aware of the risks and hazards that are posed by asbestos, and what they should do if they encounter or suspect the presence of asbestos where they are working. Being aware of the potential risks makes them more likely to avoid having their health and safety negatively impacted through asbestos, not to mention other hazardous substances which may be present in their place of work. As with other health and safety hazards, prevention and avoidance is far more preferable than having to deal with the aftermath and consequences of the encounter or incident. Asbestos legislation and regulation is such a serious issue because of the health risks which are posed by asbestos that they are not covered by COSHH regulations, but instead have their own specific ones. The NEBOSH General Certificate is intended to provide an overview of a multitude of risks which may be present in a typical workplace. 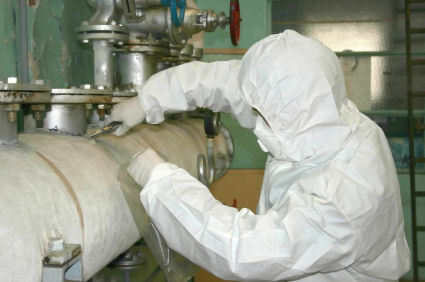 Whilst asbestos is discussed, a course such as the NEBOSH General Certificate which intends to simply provide an overview of many different hazards will not drill down into enough detail to make a person suitably competent for undertaking tasks like removing asbestos or planning work where asbestos is involved, and it is important for individuals and managers alike to realise that just because something is mentioned and given a little bit of attention on a training course does not necessarily make that person suitably competent to the required level.